This chapter examines the concepts of migration and acculturation, firstly by examining UK immigration law and the legal context of migration. This section focuses on the development of legal responses to migration, starting with the 1905 Aliens Act and then moving on to consider the UK’s responses to migration during the First and the Second World Wars, and later, particularly focusing on the collapse of the USSR and the end of the Cold War. Recent asylum and refugee policies are then considered, and this section focuses on the issues relating to citizenship rights and the legal status of asylum seekers and refugees. The chapter then moves on to consider a range of explanations and theories relating to migration and acculturation, particularly focusing on Ager and Strang’s (Indicators of Integration, Home Office, 2004) ‘Indicators of Integration’ model and O’Reilly’s (International Migration and Social Theory, Palgrave Macmillan, 2012) migratory theory of practice. 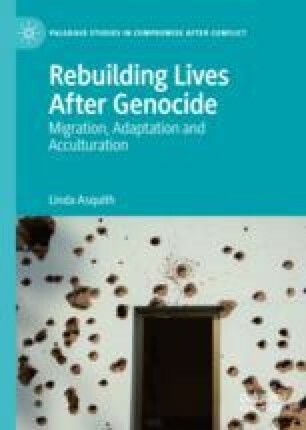 The chapter finally examine the role of social capital in processes of migration and acculturation, linking Bourdieu’s ideas to the process of forced migration. Cheung, S. Y., & Phillimore, J. (2013). Social Networks, Social Capital and Refugee Integration. Birmingham/Cardiff. Retrieved December 15, 2018, from http://www.birmingham.ac.uk/Documents/college-social-sciences/social-policy/iris/2013/nuffield-refugees-integration-research-report.pdf. Fletcher, E. (2008). Changing Support for Asylum Seekers: An Analysis of Legislation and Parliamentary Debates. Sussex Migration Working Paper No. 49. Retrieved January 2, 2019, from http://repository.forcedmigration.org/show_metadata.jsp?pid=fmo:5695. Klug, B. (2013). The Balfour Project. Retrieved August 13, 2018, from http://www.balfourproject.org/the-other-arthur-balfour-protector-of-the-jews/. Lyons, K. (2017). ‘How Do You Live on £36.95 a Week?’ Asylum Seekers on Surviving on Their Allowance. The Guardian, August 21. Retrieved December 22, 2018, from https://www.theguardian.com/world/2017/aug/21/asylum-seekers-allowance-surviving-charities-counting-pennies. UK Lesbian and Gay Immigration Group. (2018). Still Falling Short. Retrieved December 29, 2018, from https://uklgig.org.uk/wp-content/uploads/2018/07/Still-Falling-Short.pdf.